Michael Patrick Hicks has crafted a creepy think piece. Black Site is about a cloning experiment gone very wrong. The black site is located at a defunct mining site. 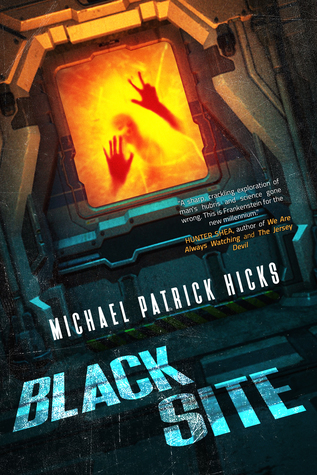 The author reveals the history behind the black site as the story progresses. Alpha (a clone of Papa) is leading the cloning experiments. There have been several clone failures, but Victor seems promising. Echo is the purist clone of Papa, but because of an accident, she is the only female. Alpha and Echo have a sexual relationship trying to have offspring. There is something different about the latest clone, Victor. He has a power that the other clone can’t control. That is when all hell breaks loose! Michael Patrick Hicks makes the reader think about creation and multiverses. Black Site is a quick, fast-paced read that ends with a bang! I thoroughly enjoyed this short story! The author is descriptive and the scenes are vivid! I highly recommend this short story to fans of sci-fi and horror!